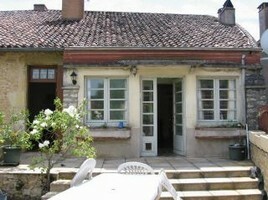 Property for sale in Aquitaine - why buy here? Aquitaine is a large and diverse region, with an area of 41,308 square kilometres. It offers a variety of landscapes. There are dramatic gorges and rivers in the Dordogne and sand dunes and pine forests in the Landes. Then there are vineyards in Bordeaux (French properties with vineyards) and mountains in the Pyrénées-Atlantiques. The climate is typical of southern France, having lots of warm sunshine and mild winters, and the gastronomy and wine is second to none. British buyers have moved to Aquitaine in their droves, and it's clear they know a good thing when they see one. It is perhaps hardly surprising that the Brits love Aquitaine so much. The region has a long history of links with England. When Eleanor of Aquitaine married Henry II in 1154, Aquitaine became an English territory, only reverting to French rule at the end of the Hundred Years War in 1453. So all the expatriates who have fallen so in love with Aquitaine are just following in the footsteps of their ancestors! As Aquitaine has a glorious and diverse countryside, if you're hoping to find that dream home in the country, Aquitaine could be just the place for you. 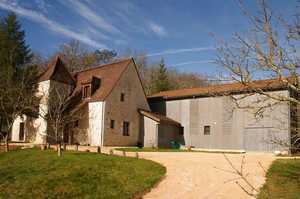 Many Brits are living the rural dream in the Dordogne, as the hit TV show "Little England" showcased (Most Popular TV Programmes about French Property). We've got several rural properties that might just hit the spot for you. 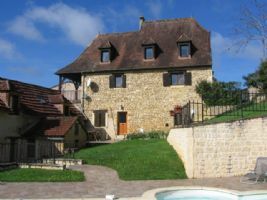 But it isn't only the Dordogne that offers lovely country properties, as our selection of properties demonstrates. 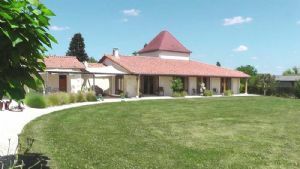 If you prefer golf from surfing there are over 50 courses in Aquitaine, so you'll never be far from a chance to enjoy your sport (Best Golf Property for Sale in France). The region also appeals to all lovers of the mountains and associated activities. No matter which Aquitaine department you choose for your new French property, you can guarantee it will be pretty easy to travel there from the UK. Ryanair, the budget airline, flies into Bergerac, Bordeaux, Biarritz and Lourdes (The Best Property For Sale near Ryanair airports in the South-west of France). If you live in the north of the region, you may also consider flying into Limoges or Poitiers. The TGV runs to several locations in Aquitaine too. Bergerac and Bordeaux are on the TGV route, and have good connections to rail networks and stations all over the region. 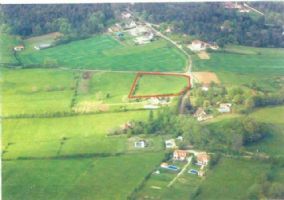 Superbly situated plot of building land for sale with outline planning permission of around 1760 m2 completely enclosed with fencing and wrought iron gate, a small chalet (16m2) with covered terrace, wooded grounds, electricity, water and mains drainage in place, in walking distance of the hilltop bastide town of Belvès in the Perigord Noir of the Dordogne. 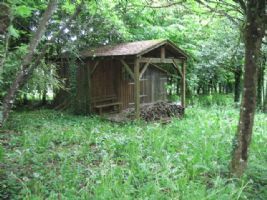 Superbly situated plot of building land for sale of around 5757 m2 with lovely view and planning permission for a spacious house and adjoining guest house of around 180 m2 of living space just 5 minutes drive from the pretty market town of Le Bugue in the Périgord Noir of the Dordogne. The price of this property includes agency commission at 8% (inclusive of VAT at 20%) which is paid by the buyer on signature of the final deed of sale. 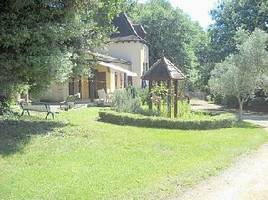 Large village house with around 210 m2 of usable space, terrace (18m2), pretty enclosed garden with garage and parking for 2 cars in the heart of a bastide town with all amenities the Perigord Noir of the Dordogne. Possibility of making two apartments, each with its own private entrance, and/or suitable for running a business. A rare location. Valley of the Dordogne : Pretty Perigordine stone village house with pigeonnier (150 m2), independant studio (35m2), garage, small outbuildings, well, bread-oven, courtyard and large private enclosed gardens just 5 minutes walk to the heart of a riverside village with train station and all amenities between Sarlat and Le Buisson de Cadouin in the Dordogne. 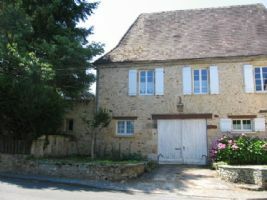 Superbly situated property comprising two houses (main house and one gite) with rental potential, secured swimming pool (11m x 5m), stone borie , chalet (11m2), all set on around 6700 m2 of enclosed flat grounds just outside a pretty medieval village with amenities on the banks of the river in the Périgord Noir of the Dordogne. Excellent rental potential. Completed in 2007 this detached house is located just off the N21 within a 20 minute drive of the historic town of Bergerac and 10 to 12 minutes drive from Bergerac Airport so is ideally placed to take advantage of low costs flights from UK and Northern Europe. A spacious, ecologically-friendly stone house for sale dating from 2007/2008 of around 200 m2 of living space above a large basement with 4-car garage (105m2), south-facing covered terrace (56m2) with far reaching views, set in around 4000 m2 of grounds with green leaf oak trees, and just 2 minutes from a village with baker and butcher and only 10 minutes north of Sarlat La Caneda with all amenities. Charming stone property comprising a main house of around 115m2 of living space with separate private apartment of around 54m2 of living space, and old stone barn converted into two luxurious holiday cottages (78m2 and 47m2), a private pool (8m x 4m5), 4 separate terrasses, a pretty garden completely enclosed, all in the heart of a medieval town with famous chateau and around 20 minutes drive from the town of Sarlat in the Périgord Noir of the Dordogne. ‘Franquettes’ is a magnificent recently constructed modern day home. 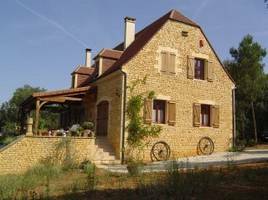 Set in the heart ofthe true Dordogne countryside close to Domme & Sarlat. This stunning historic Dordogne home dates in part to the 12th Century and is detached. 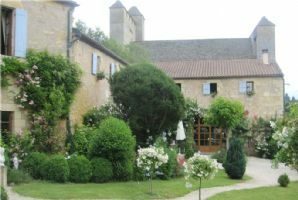 Currently run a very successful boutique B&B in the heart of the Vezere Valley. Ideal for those seeking an established business or spacious family residence.